Ho ho ho! We’re in high festive spirits here at SMBA HQ after celebrating a fabulous end of term show for our students and some very exciting team meetings with the coaches. Basically, we’ve got your New Year’s resolution covered! With a line up of dynamic courses from beginner to advanced with plenty of drills, conditioning and exciting stylizations you can afford to indulge this Crimbo because we’ll get you right back on track. Plus we’re again offering students the chance to take an exam in bellydance! If you’re not local to Berkshire, UK, don’t worry, I’ll still be giving you plenty of free content online to keep your bellydancing on track. New Year is the time when we naturally take stock and plan for a better future. But with limitless ways and opportunities to learn and experience bellydance, how can you make sure you challenge yourself enough without burning out or breaking the bank? In this week’s blog I’m going to share my 3 step technique to making sure that each year is full of bellydance bliss – not bellydance boredom or burnout. This works really well for me as a student AND as a teacher, in fact I believe it’s pretty much foolproof! Dive in and be sure to leave a comment in the youtube comments and, of course, give a thumbs up so I know you dig this kind of thing! If you’re ready to be bold and get ahead with your bellydance dreams, then you might want to take a look at our beginner, improver, intermediate or advanced courses. Be snappy as our early bird prices end after Friday! If you love bellydance and want to make it “official”, then you will probably like the sound of our bellydance exam programme. With only a minimum requirement of 3 months experience we have different level exams for all students. Check out all the deets here. Thanks for reading and I wish you a sparkling festive season! Ps. 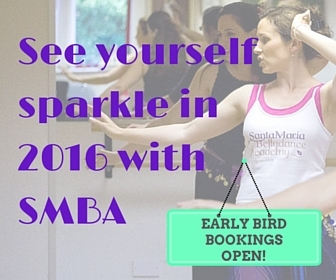 Early bird bookings for next term are open! Click here to see what you’ll be learning and who will be coaching you! Pps. Subscribe for blog updates with bellydance tips to get on track and stay inspired. Plus receive my free online class! Go here to get yours. If you’re looking for the mother of all pre-show pep talks, this is it. Despite enjoying huge success as an international superstar on the bellydance scene, Princess Farhana was still happy to sit down with me over coffee and share her experiences and struggles – good and bad – during her career as a bellydancer. How lucky are we?! You are in for a treat as this interview is packed with hilarious anecdotes and oodles of tips and advice for us, including a surprisingly practical approach to costume construction. How to handle dance disaster – including what NOT to do! What’s Princess Fahana’s practice reigime? What are Princess Farhana’s “Desert Island Discs”? I’d love to know, what resonated most with you during this interview? Be sure to leave a comment on the blog or in the youtube comments. And of course give us a thumbs up to let me know that you dig this kind of thing! A big thank you to Princess Farhana for being so generous with her answers and also to to my dear friend Louise Brooks for having the interview at her beautiful home! And, of course, thanks to YOU for reading and watching.